All The Work's Been Done - YIP! Beautifully modernised and presented, this gorgeous family home is ready for you to just move in and enjoy. It combines the best of the old and the new - solid and enduring weatherboard with a smart white picket fence and recently installed aluminium windows. It boasts a spacious, modern kitchen/dining room which opens to a large lounge with doors out to the sunny front deck. With contemporary décor, plush carpets and wood effect flooring in the kitchen, laundry and bathrooms this home has instant appeal. There are two double bedrooms and a bathroom on this level and stairs down to two more double bedrooms and another family bathroom. One of these bedrooms has sliding doors to a sunny and private rear deck/BBQ area that is also accessed from stairs from the laundry. There is plenty of space for the whole family. The front garden is very attractive and set back from the road with its single garage also at the front. Tarawera Road is very convenient with the nearby Fraser Avenue railway link to the city and its close proximity to the shops of central Johnsonville and some very popular local schools. 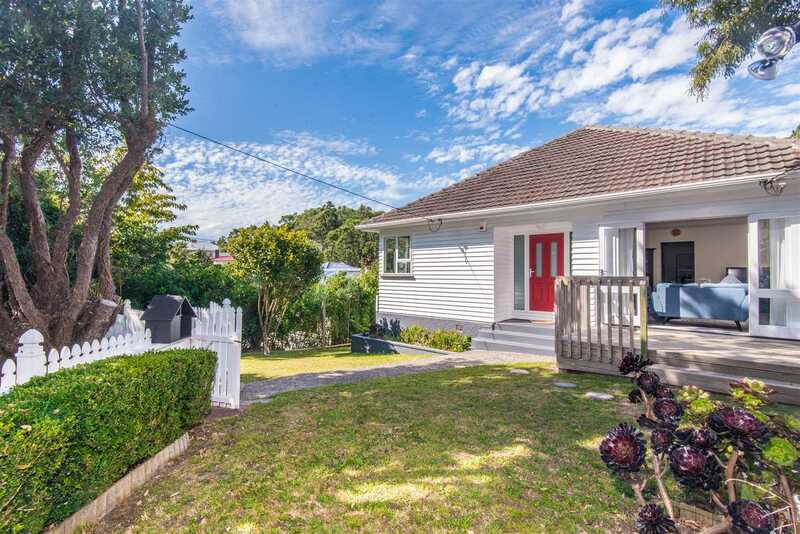 This home is a must-see if you are looking for a very tidy family home in Johnsonville. Call James Reith, Team YIP on 027 3333 220, to arrange a viewing.